So I got a lot more done than I expected. As per the Roadmap on GitHub, v0.7.11 is almost ready for release, there's a few things I want to test and consider building a few extra features before I push it. 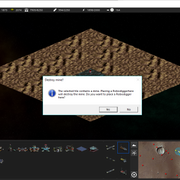 These screenshots show taking advantage of the cross-platform message box's that I added to the code -- sure, it's not as 'nice' as having a skinned in-game Window but it's a hell of a lot easier and takes advantage of the host OS's ability to stop execution while waiting for user input (modal dialog's). So far on Windows I have this done using Win32 API calls. It's done through SDL2 on all other platforms. In the future I'd like to have these functions use the host OS's code to pull up these message box's but eh, long term goal. 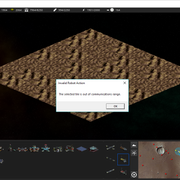 Moving along, I've pulled the AiVoiceNotifier from the code -- I liked the idea of having an AI that would yell at you if you're making a mistake but ultimately it requires resources and assets that I just don't have the ability to deal with. Plus, the ones I used were very vague and not terribly informative so that's where the message boxes come in. 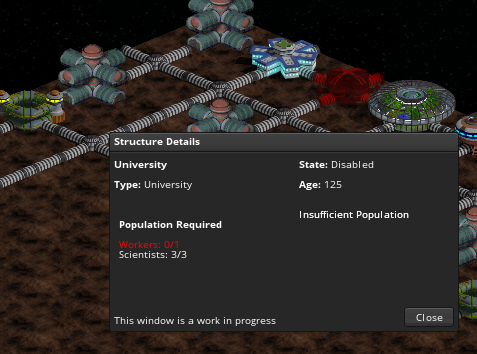 I want to add in a resource panel and update the StructureInspector to include details about why a Structure is disabled or idle (it currently does some basic stuff with reasons for it to be disabled but may not be specific enough (e.g., insufficient population is accurate but doesn't tell you exactly what kind of population is lacking and how much you need). Lastly, looking at the structure icons at the bottom of the screenshots you can see the new icons that White Claw has been working on are finally in the UI now. I finally stopped being lazy about it and made it a thing. Woot! So yeah, much progress made on this version, looking forward to getting it out the door soon. Looks like things are going well. Sorry to hear about the DK issue that messed you up. Glad to know you're doing better. My wife is diabetic and has memory problems, so I have to try to help her with getting her meds at the right time. OPHD is looking good. Between work, school, and trying not to get sick myself, I haven't had a chance to get the latest versions to try out. Not expecting anything to slow down anytime soon. One of my classes, Composition II starts next month as a compressed 8-week course. With Biology Lab, Math, and World History, free time doesn't exist right now. I like the way that building toolbar is looking! Nice job pushing another release! 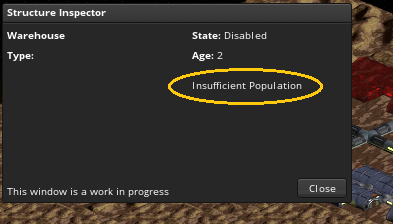 Addressing reasons for being disabled, in this case the only real detail is needing the population counts for a structure. 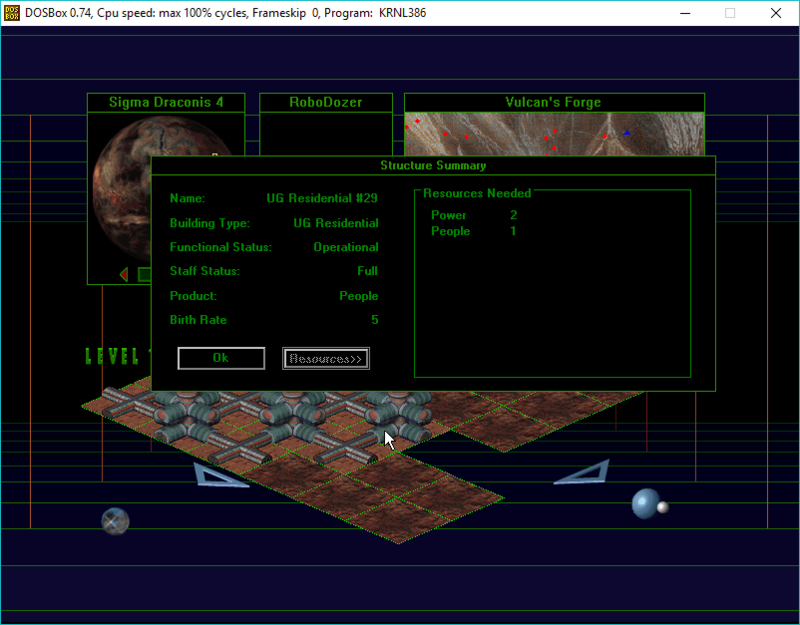 I'm ultimately not too happy with the layout of the Structure Details window (formerly Structure Inspector) but that's always something that can be tooled around with as needed. 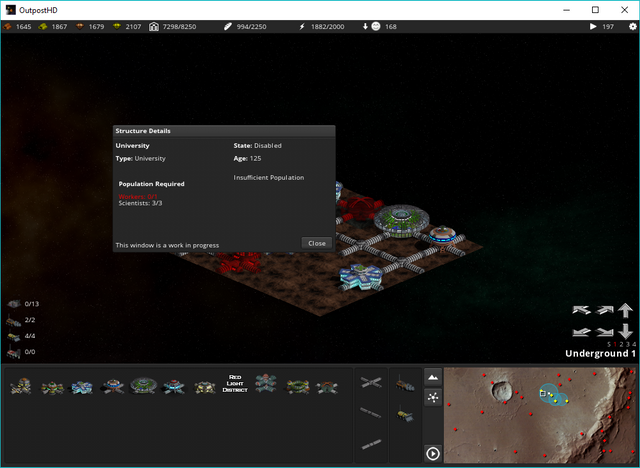 Final development effort is going to be a resource breakdown panel kinda like the population breakdown panel. I like the structure details window start. I found it a huge pain in the original that I couldn't pull up details on a structure to see what issues it was having. Made gameplay sort of mysterious until you hacked around with it for a while. Hey look! 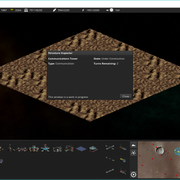 v0.7.11 is done! 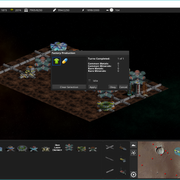 Want to run it through some testing first before I publish a new release but I'm out of time tonight so I'll see about pushing it tomorrow! Basicaly finished details panel. I'd like to come up with a better layout and with a way better font engine than I've had in the past I can use different font sizes as well (something I look forward to taking advantage of moving forward). Any thoughts on this would be most welcome. I like the red color in the text to highlight what the shortage is. I also like the style of the box. It's clean, not cluttered, and gives you the information you need at the moment. Question. On the occasions where there could be multiple disabled structures due to lack of resources (people, materials, etc. ), is there a way to dictate a priority as to which ones get the needs first? Not in this current form. I'd have to consider how to handle it outside of the basic update structure. Some structures can already be set to Idle, but this mode isn't 'disabled', it's still technically active and thus consuming resources. I could add another state of "Shut Down" which would turn off the building and thus any resource requirements it would otherwise need. This would also have the effect of not having an effect on morale. Would probably be the best way to achieve the desired result without redeveloping the entire structure management cycle.